Rick Grimes seems to be thinking about season 6 of The Walking Dead as much as the rest of us. 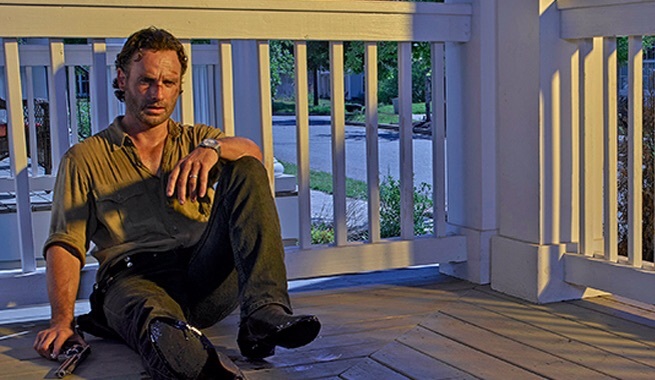 In new photos from season 6, Rick can be seen on his front porch in the Alexandria Safe-Zone, deep in thought about something. Perhaps Pete's execution? Perhaps Morgan's reaction? It could be any number of things. 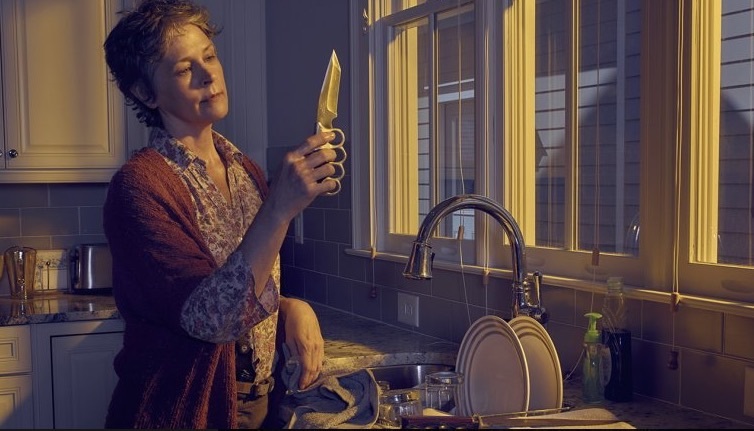 Also featured are Michonne and her katana, Daryl and his bike, and Carol whipping up some weapons in the kitchen. Check them out in the gallery below. We'll find out more about whatever is on Rick's mind when The Walking Dead returns October 11 at 9 PM EST on AMC.